GI Briefing 12: Community Energy: Taking stock, moving forwards? 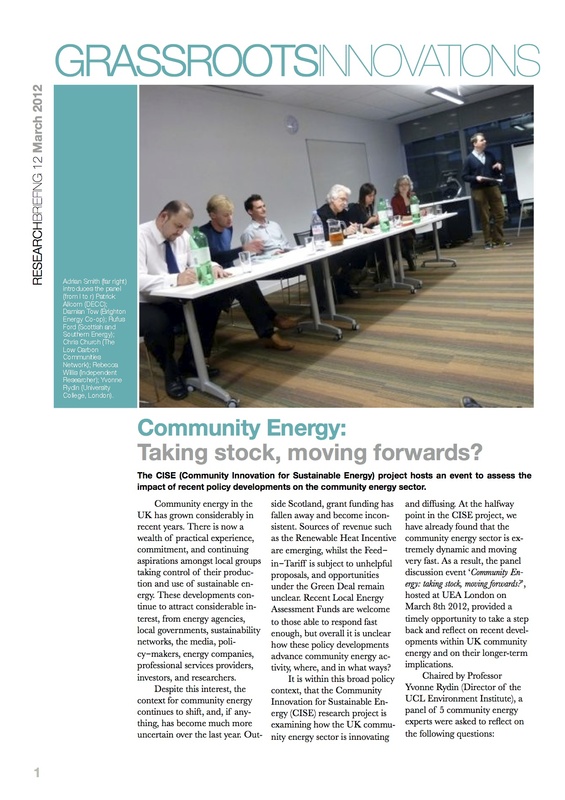 Community Energy: Taking stock, moving forwards? Grassroots Innovation Briefings 12: Community Energy: Taking Stock, Moving Forwards?